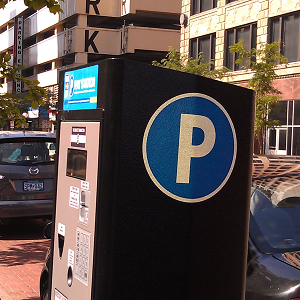 All parking meters in St. Paul will be free on Saturday. That's the good news. Starting Monday it will cost you more to feed the meter. That's the bad news. The city's Public Works Department will be resetting meters citywide on Saturday to accommodate a new fee structure and expanded hours of enforcement that go into effect Monday. The transition to the new rates and hours includes the implementation of event parking rates in the downtown area. While meters are being reset, the city will suspend parking fees for a day, Saturday. Standard meter rates will be $2 an hour between 8 a.m. and 6 p.m. and $1 an hour between 6 and 10 p.m. Some corridors where parking demand is not as great will have reduced rates. Motorists will find higher rates during certain events. Meters in the Xcel Energy Center Event Parking Zone (shown in red on map below) will be $3.75 an hour. Meters in the CHS Field Event Parking Zone (shown in blue on the map below) will be $2.50 an hour.